This past Sunday, Little Bird, aka Lucia Green, saw her first race - Meghan's half marathon in Vancouver, Washington. She was inspired and told her mom that she wanted to race just like the Hot Birds. 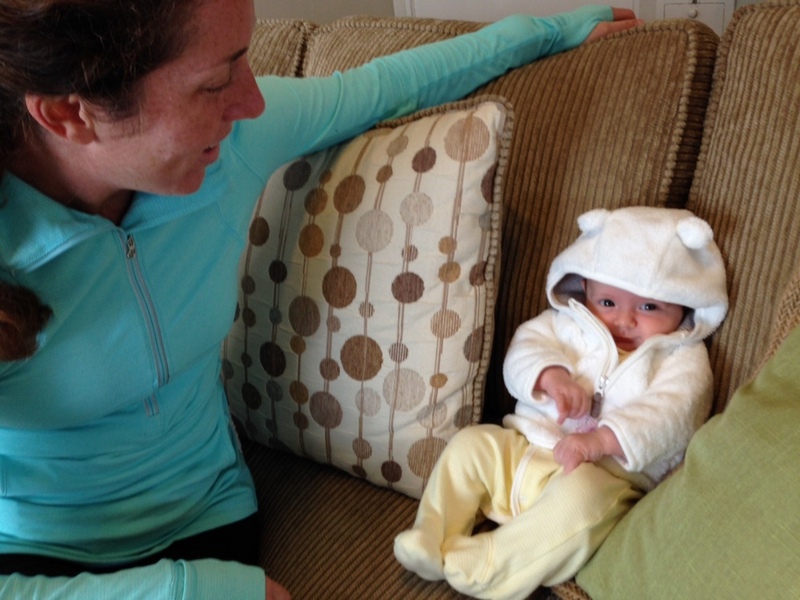 After, Meghan sat down with Little Bird to find out more about this future runner. Why do you want to start running? My mom, Jessica, ran the whole time I was growing in her belly. It was a stress reliever for her and put me to sleep. I think I'll like it as I get older. Plus, the BOB looks really cool and I want to explore Portland. What's the best piece of running advice you've ever received? I heard Mom and Meghan always telling their clients to listen to their bodies. I like that approach because it works for me. For example, when I'm hungry, I cry; when I want to be held, I cry. I think listening is very important. Mom, of course. She's the best runner I know. Meghan is a close 2nd. Who would you love to run with and why? The Hot Birds, oh and my Dad. I hear he runs every now and again. What’s your favorite post running meal? I'm really good at working up a sweat while crying.